Code Vein will release on September 28. Bandai Namco announced the release date of its upcoming vampiric Souls-like alongside a brand new trailer (which you can watch below) earlier today. 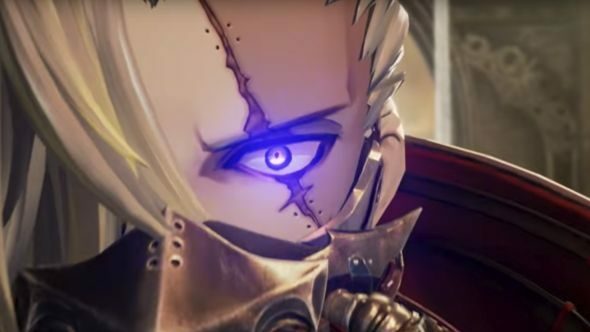 Code Vein, which was first officially revealed in April 2017 and appeared for a brief blink-and-you-missed-it moment at Microsoft’s E3 conference later that year, is an anime take on FromSoft’s Souls games by way of Being Human. The biggest twist on the formula is the addition of NPC allies, who fight alongside you throughout the game, but can be turned off if you fancy more of a challenge. It won’t be too long a wait for Code Vein, but to tide you over til the autumn, check out our list of upcoming PC games. It’s also pretty reminiscent of Final Fantasy XV, with its hordes of monsters and selection of characters all absolutely whaling on them. I’ll be honest, I have very little else to glean from the trailer at this point, because it’s fairly story-driven and all in Japanese, other than a brief prologue at the beginning. First print copies will get unique cosmetics, and US pre-orders grant access to new weapons as part of collaboration with God Eater. There’s also a limited physical edition of the game, but at this point it’s only available in Japan. If you’re dying (or not) for some more blood-sucking between now and September, then you might like the London-set Vampyr, which released yesterday from Life is Strange studio Dontnod. Its focus is more on story than combat, but its fights do borrow a little from the Souls series.